French design powerhouse Surface To Air have previously collaborated with Justice (seen HERE) and Kings of Leon for their leather jacket releases to massive success. Their latest collection sees S2A teaming up with acclaimed American tattoo artist Scott Campbell, who drops 2 editions: “Dead Fucks” featuring funeral-inspired drawings and the “Cobra Jacket”, which features intricately illustrations of intertwined cobra heads covering the back. 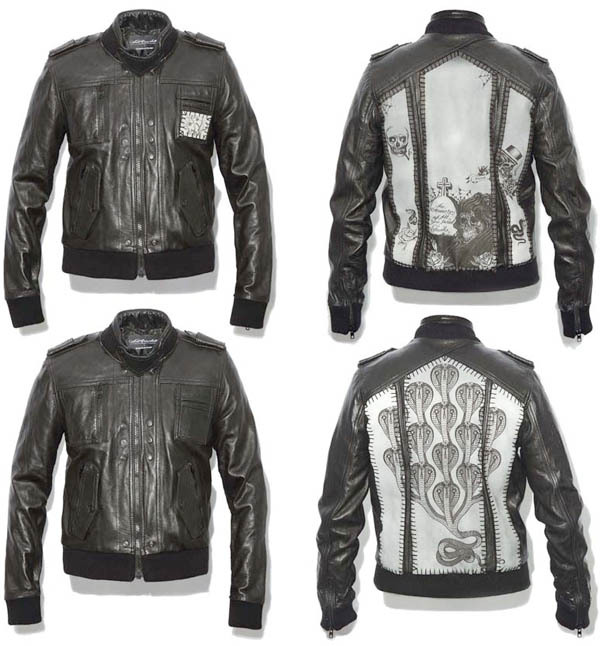 The jackets are composed of leather applications covered in laser-etched drawings, which are hand-sewn on using the “loop stitch” technique inspired by original Hells Angels. « Crocodiles, Hippos and Bears, Oh My!